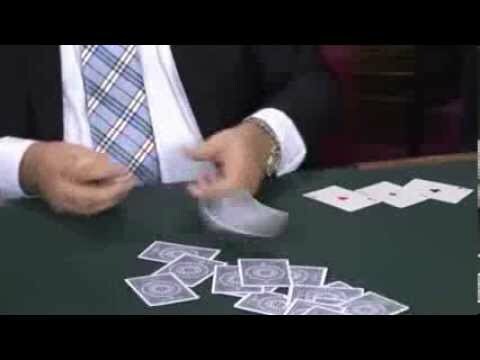 Magicians who perform with cards hear this all the time is, "I wouldn't want to play cards with you!" More so when the theme of the particular card effect is gambling. Being able to win at card games is a compelling - and commercial - skill to demonstrate to non-magicians. On this DVD, you'll meet six magicians who no one would want to play cards with! Harry Lorayne leads off with a shaggy dog story about a gambler acquaintance who could shuffle cards face up into face down (twice!) and somehow they end up all the same way - that is, except for the two selected cards. Marc DeSouza is next and despite giving the spectator every choice, he still ends up with the winning poker hand. Martin Nash demonstrates an uncanny ability to deal himself Aces no matter where they lie in the deck. Darwin Ortiz rounds out this volume with two spectacular effects. First, he demonstrates how a gambler can control every card in the deck by keeping all of the red cards separate from the black ones - this despite repeated shuffling even by the spectators. Then, in his amazing version of the classic 10-Card Poker Deal, he shows how a card sharp can always win even when the other player makes every one of the dealing decisions. For more WGM DVD's click here.